Hamsters like to be pampered with treats occasionally and towards this end, you can offer them veggies and fruits, and sometimes nuts as well. Speaking of nuts, there are some types that you can offer after due consultation with a vet. 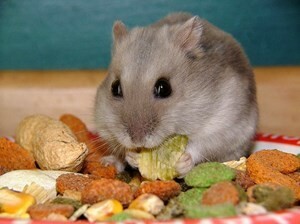 So, you might be tempted to enquire, do hamsters eat almonds? Are Almonds Suitable for Hamsters? Talking about giving almonds, you should bear in mind that there are two main varieties of the nut-bitter almonds and sweet almonds. The bitter or pungent variant has a compound of cyanide that might prove fatal for the rodent. So, it goes without saying that you should stick to the sweet alternative when you feed this nutritious nut to your pet. Agricultural Dept. of US permits the mixing of 1% of the bitter variety in packs containing sweet almonds. When you go out shopping for almonds, you must make sure that you buy only the ones whose shells have been removed. 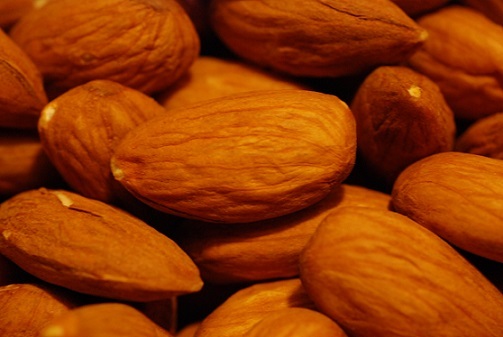 Almonds that have been treated with fertilizers or chemicals should be a strict no-no. Keep aside only those almonds for feeding that are perfectly shaped and large in size as the ones that have a disproportionate form are most likely to be acerbic or bitter. Don’t forget to keep the nuts soaked in hot or steamy water in order to soften them up enabling you to peel the skin. Break up an almond nut into two halves and offer just one-half of the same only once or twice in a week. As outlined above, almond saplings that have been cultured in soils treated with ammonium or phosphate fertilizers should not be purchased. This is so because the pesticide or insecticide content might be detrimental for the hamster from the perspective of her health. More often than not, offering the non-organic kind might even lead to the pet’s death. On the other hand, see to it that you source only sweet almonds as the bitter variety carries hydrogen cyanide that can prove toxic or poisonous. In the rare event of your hamster consuming the bitter or sour variety of almond, needless to say, you should take immediate remedial measures. For a start, try to make it sip as much water as it can along with bits and pieces of fresh, green vegetables. If you notice your pet responding in a very withdrawn manner or becoming inactive or motionless, then you should rush her to the local veterinarian. 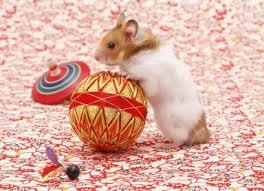 You may not need to worry or get anxious if your hamster nibbled on a tiny morsel. But if she munched on a large portion, then you should be mentally prepared for the worst. If all goes well and the hamster gets a new lease of life, then you should make sure that almonds always stay out of reach of your pet.